All children have the right to education, based on equality of opportunity and Rimrose Hope CE Primary School, in partnership with parents and other parties, must take measures to encourage regular school attendance and reduce rates of absenteeism. Rimrose Hope CE Primary School recognises the crucial role that parents play in promoting good school attendance. The school therefore seeks to provide professional, quality information and advice, communicated frequently by telephone, text, the school app, leaflets, parents’ evenings, school reports and via the school attendance webpage on our school website. Is your child's attendance greater than 96%? 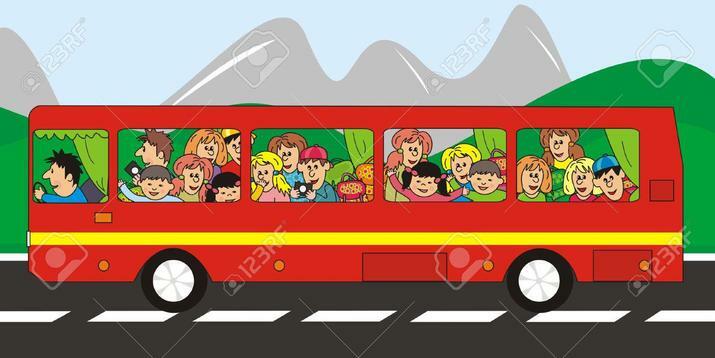 During our celebration assembly each Friday, the class attendance league table is completed, any class with a weekly attendance figure > 96% will receive a 'bus ticket' for a draw at the end of the term for a chance to win a day out on our bus! Additionally those pupils with a weekly 100% attendance and punctuality will be placed into a class draw, the winner of each class will receive a prize during Friday's celebration assembly and a school draw will take place and the lucky winner gets to choose a prize from Mr. Crilly's Toy Shop! For children to make progress at school they need to regularly attend, a figure of 96% or above being expected by the government as a minimum target for Primary Schools. Each term we recognise those children with excellent attendance with an Attendance Award. In addition, any children with 100% attendance for the year will receive a prize during the prize giving end of year assembly.